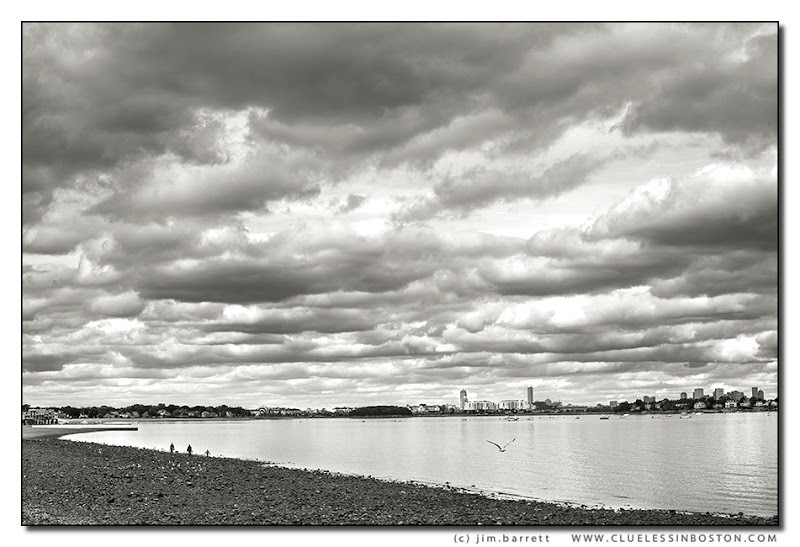 Looking towards Boston from Wollaston Beach in Quincy. I'm a sucker for b&w, and this is beautiful! The kind of view I'd like to have on my wall, I could dream about it during hours!Fabulous! You know the art to it so beautiful in b / w to convert! The skies around here have been amazing this week... the clouds! This is breathtakingly lovely - well done!